Chandrika has just received her G.C. E. Ordinary Level Examination (O-Level) results. To the delight of her family, she has passed with flying colors, obtaining ‘A’ grades for all nine subjects. Chandrika’s success story, along with an enlarged, smiling picture of her, is now visible to anyone passing through her village; several of her tuition masters have taken the liberty to promote their tuition classes by drawing attention to Chandrika’s outstanding performance. But, Chandrika’s grandmother is not thrilled about her results. She laments that Chandrika’s sole focus on passing exams has not allowed her to get involved in household chores, family and community functions, or extra-curricular activities in school. Most of her life has been spent in the classroom, at tuition classes, or studying in her room. This is a common scenario in many Sri Lankan households. Sri Lanka’s education system has often been criticized for its overloaded school curriculums and the undue stress placed on students as a result. A poll conducted by the Sunday Times in 2011 saw 67% of those interviewed agreeing that private tuition has become essential – rather than optional – to successfully navigate the current education system. Indeed, the importance of private tutoring – also known as shadow education (Box 1) – has been increasing at a rapid rate. It is currently the largest component of Sri Lanka’s household education budget, with a recorded share of 45% in 2012/13, according to a forthcoming Asian Development Bank (ADB) Country Diagnostic Report. The sole focus of shadow education is developing the skills needed to do well in exams – primarily old-school, rote learning and memorizing. Its growing prevalence has turned education into a commodity, and society appears to associate success in student life with good examination results. Therefore, private tutoring runs the risk of reducing education to mere academic achievement, whereas education is a much broader concept including physical, aesthetic, and social development, through sports, music and arts, and relationships with society. The narrow focus of the shadow education system, has in part, contributed to the skill mismatches observed in the Sri Lankan labour market. A World Bank study titled ‘Building the Skills for Economic Growth and Competitiveness in Sri Lanka’ notes that Sri Lanka’s education and training system does little to develop soft skills. Despite the ever increasing lists of paper qualifications, traits such as teamwork and presentation ability, communication and leadership skills, conscientiousness, and decision making – for which the demand is growing – are lacking among many job applicants. 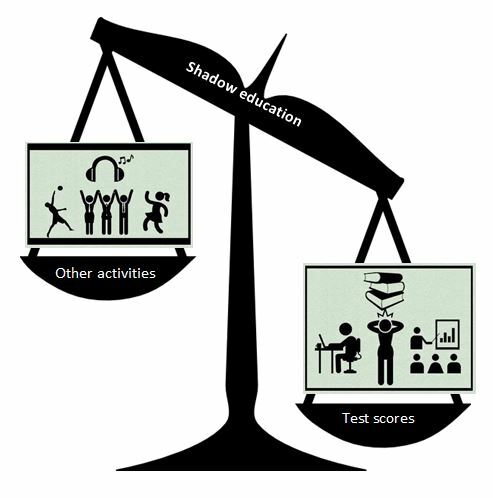 Any potential gains in academic performance brought about by shadow education could mute the growth of a child’s morals, interpersonal skills and sense of responsibility. In particular, a child’s character development could be compromised by the overemphasis placed on academic accomplishments. In curbing the excessive growth of private tutoring, Sri Lanka has a lot to learn from Singapore. Famous for its obsession with test scores, with a shadow education industry worth over a billion dollars annually, the Singaporean government introduced several measures to limit further growth of the tuition industry and to promote more holistic development of students. The focus of Singapore’s Primary School Leaving Examination (PSLE) is shifting away from academics towards expanding opportunities for children to discover their interests and talents and developing life skills, a sense of curiosity, and a love for learning. In grades four and five, students take part in a three-day cohort camp where they learn to prepare simple meals, adapt to the outdoors, and build resilience and companionship. Sri Lanka’s Grade Five Scholarship Exam parallels the PSLE in Singapore, and has received flak for robbing children of their childhood. Its main objective of providing subsidies to disadvantaged, talented students to move to better schools can still be met by recognizing talents on a broad spectrum of areas, including sports, aesthetics, and life skills, in addition to test scores. In Singapore, national examination results are now released without highlighting top scorers. While schools still recognize good performers – more as a group rather than individually – they also celebrate the achievements of those who show notable improvements, overcome challenges such as a disability or sickness, or excel in other areas such as sports, music, drama, and volunteer work. 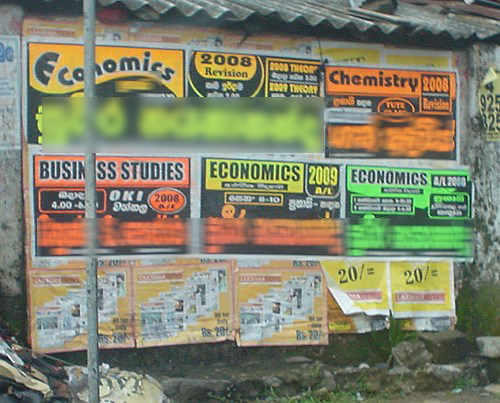 Sri Lanka too spotlights examination top scorers in the media, with them even being used for promotional materials. Changing emphasis on examination scores will eventually lower the relentless chase for better grades, supposedly guaranteed by tuition classes. Singapore’s Direct School Admission (DSA) scheme, initiated in 2004, focuses on admitting school and university students based not just on test scores, but also on other factors such as sports and artistic talents. At the National University of Singapore (NUS), students are able to omit grades of some subjects in their first semester. Additionally, aptitude-based admissions have been expanded, allowing students who fall short of academic requirements, but show passion and interest, to get into the course of their choice. While a limited number of openings based on sports-related achievements are available in Sri Lanka as well, these should be expanded to cover other areas such as drama, dance, elocution, and music. Moreover, such non-academic skills should be given recognition, not only within each respective field, but also at the national level. Changing the underlying mindset of students, parents, teachers, and society that academic achievement is all that matters is no doubt a challenging task. It is nevertheless essential to produce individuals who are able to successfully respond to the needs of a rapidly changing world in the future. *This blog is based on a chapter written for the forthcoming Sri-Lanka: State of the Economy 2017 report, IPS’ annual flagship publication. Lankan University Graduates: Late Birds, No Worms?